Weather plays a critical role in our lives and economy. To help inform on upcoming weather events, the National Weather Service (NWS) issues warnings, watches, and advisories. These alerts are available via the Aeris Weather API using the advisories endpoint and within the Aeris Maps Platform (AMP) utilizing the alerts layers. 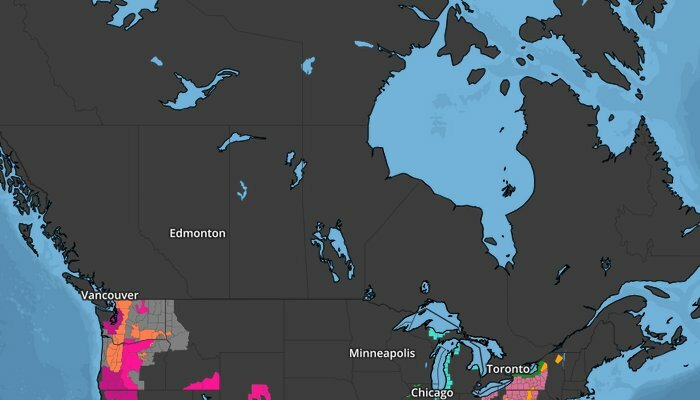 In Canada, Environment Canada (EC) issues similar alerts, and today we are announcing that Canadian weather alerts are now available within the Aeris Weather API and AMP. Best of all, Canadian alerts are available to all API and AMP users with no additional development required! Note that as with US alerts, the API will return a no data warning if there are no active alerts. Likewise, to limit results to US alerts you can use either query=country:us or filter=usa. 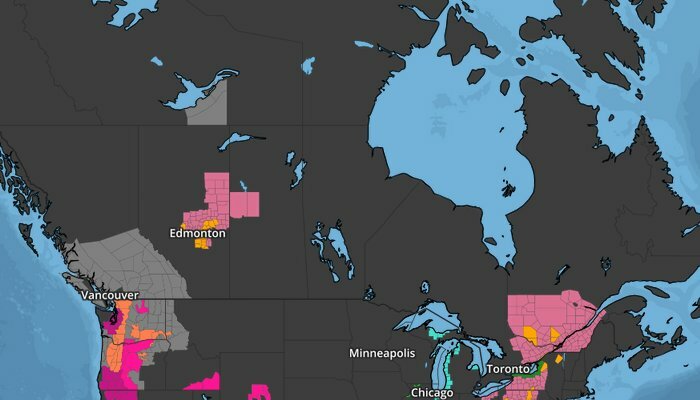 Environment Canada issues alerts based on Canadian Location Codes (CLCs) which are similar to the weather zones that the NWS uses within the US for alerts and forecasts. A CLC is a 6 digit number and are prefixed with CLC- within the Aeris API, such as CLC-040016 for Toronto. CLCs will also work with other endpoints, such as observations and forecasts. However, similar to US weather zones, passing CLCs to these endpoints will result in the CLC’s centroid being utilized to obtain the observation and forecast data. 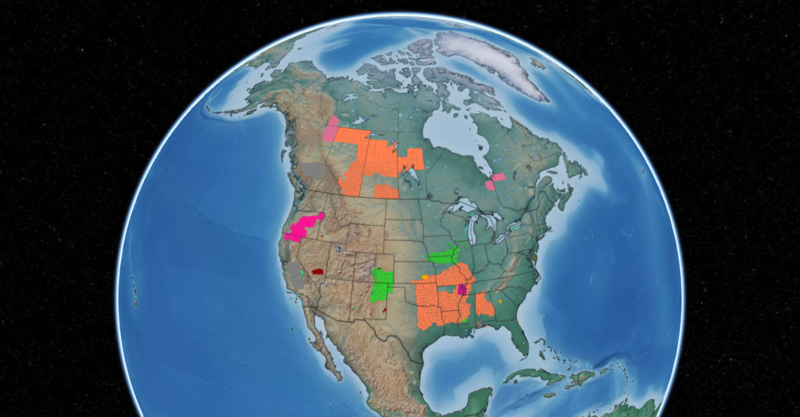 Within the US, the NWS supports over 100 alert types, and Environment Canada currently issues alerts for a subset of these, some of which are unique to Canada. Review the EC public alerting criteria for information and criteria on when an alert is issued. Also be sure to review the advisory type documentation for a list of the supported US & Canadian alerts with their codes and colors. Start using the Canadian alerts today with your Aeris Weather API and AMP subscriptions! Not currently using our services? Start with our free developer trial!